INDIANAPOLIS, IND (September 25, 2018) Klipsch®, a tech-driven audio company, is pleased to announce that its legendary Klipschorn® speaker has received modern acoustic and cosmetic updates that further enhance the replication of a live music performance. 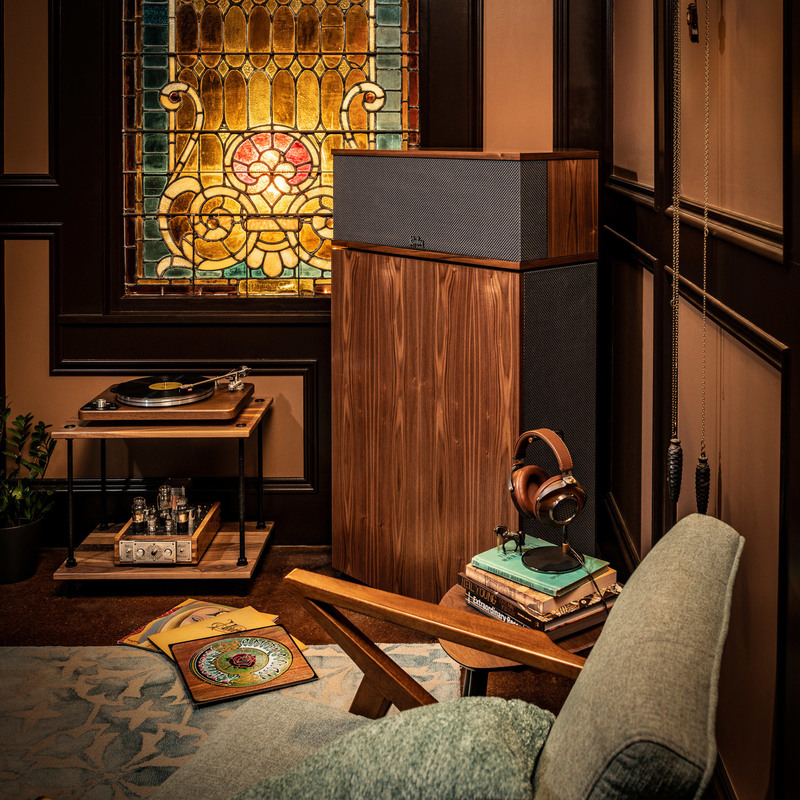 The ultra-efficient Klipschorn was developed in 1946 by audio pioneer and company founder Paul W. Klipsch to enable people, for the first time ever, to experience the power, detail and emotion of a live performance at home. It is the only speaker in the world to be in continuous production for more than 70 years, and has remained relatively unchanged since its inception. The new Klipschorn AK6 features a fully enclosed low frequency horn cabinet, offering more placement versatility in the listening room as the enclosure functions as a corner, delivering powerful bass performance and improved imaging. New 1” titanium tweeter and 90° x 40° Tractrix® horn extends the output of high frequencies beyond 20kHz. An updated passive network features premium grade AudioQuest® internal wiring. Each Klipschorn continues to be designed and handcrafted in the USA. All-new real wood finishes options include natural cherry, satin black ash, and American Walnut to complement modern furniture. The Klipschorn loudspeakers are grain-matched using wood veneer panels from the same timber, resulting in a speaker pair that is indistinguishable from the other. A retro-style silver luster grille cloth complements each wood veneer and features a nostalgic script “Klipschorn” cast zinc logo. The redesigned riser base, input panel, and cable management system ensure the cabinet’s clean lines. The Klipschorn AK6 (U.S. MSRP $7,499 ea) speakers are available now at certified Klipsch Heritage retailers and at Klipsch.com. For more information on Klipschorn AK6, visit Klipsch.com.